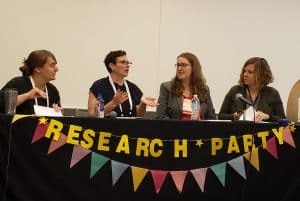 From left: April Hines, Katherine Boss, Chimene E. Tucker, and Jeffrey A. Knapp discuss information literacy and journalism at the Association of College and Research Libraries Conference in Cleveland on April 12. 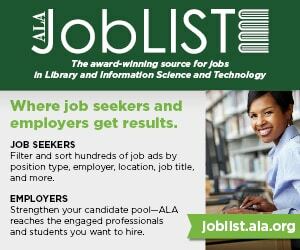 How can academic librarians help journalism students navigate the pitfalls of “fake news” and cultivate fact-based reporting? The Association of College and Research Libraries (ACRL) Communication Studies Committee wants to formulate some best practices as it revises the “Information Literacy Competency Standards for Journalism Students and Professionals” to reflect the current media landscape. 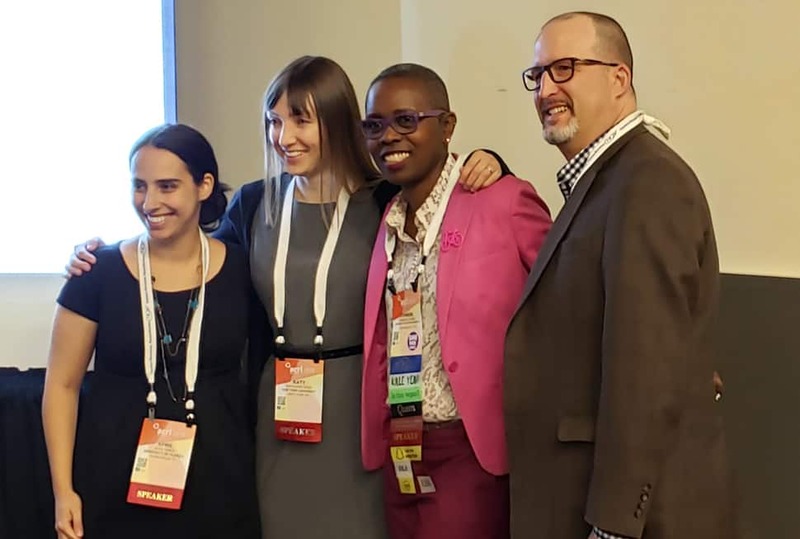 A panel of journalism librarians spoke on the problem at the 2019 ACRL Conference in Cleveland on April 11. 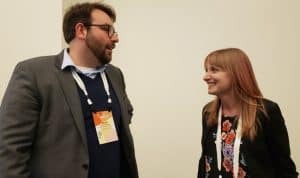 “First we wanted to find out how journalists find and use information,” said Chimene E. Tucker, communications, journalism, and LGBT studies librarian at University of Southern California. 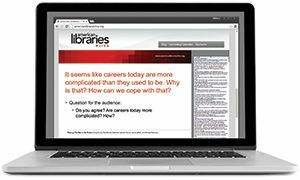 “A simple survey would not work in this case,” she said, “because we needed to ask probing questions about methodology.” So the team conducted 50 semistructured, in-depth interviews with journalism students, faculty, and practitioners using 14 questions based on the ACRL Framework for Information Literacy for Higher Education. 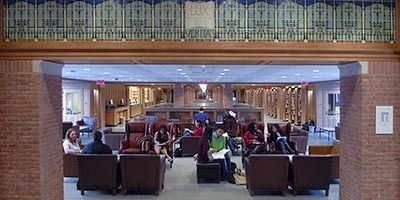 Katherine Boss, librarian for journalism, media, culture, and communication at New York University, noted that one pervasive theme was the difficulty in verifying facts. Journalists, like librarians, look at the objectivity of any news source and the context and methodology of its dissemination. One frequent guideline is that to verify every fact, three credible sources must concur on its accuracy. Sometimes experts in a given topic are scarce. When NASA released the photo of a black hole on April 10, many journalists had to scramble to find a knowledgeable astrophysicist to comment on the announcement in time for their deadlines. Always source information not gathered first hand. “Common knowledge” must be verified. Many subjects expressed frustration with paywalled articles and information, yet they placed a high value on quality journalism that should be paid for by their audiences. Representation of diverse voices is crucial to present the entire story. Obtaining usage rights for images, videos, graphics, and text is vital. Further information on the study can be found in the full paper.